And the blue mist watched before my face, to stop the skein from breaking. And the knit flick and the purl curl, and the frog frog, sighing. And quiet sleep and a sweet dream when the long sock’s over. 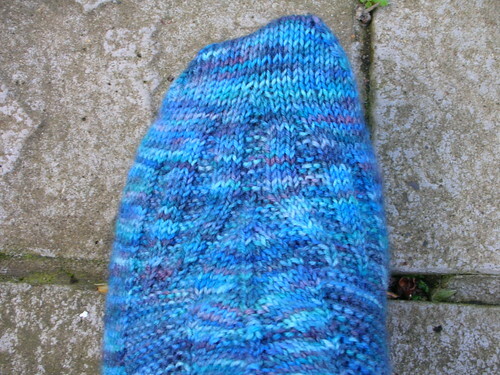 I have finished the first Ocean Toe with much misadventure – tall tales to come at a later date!